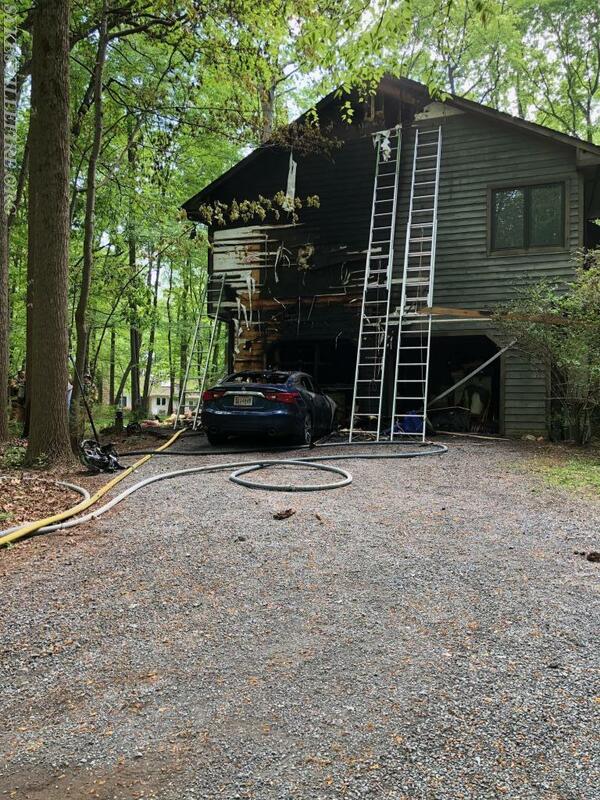 On Saturday May 12, 2018, Tower 12 and Engine 124 responded to the 13000 Block of Burntwoods Road in Howard County for a reported house on fire. First arriving units from Howard County reported a two story single family home with fire showing. Tower 12 arrived and placed ground ladders around the house and assisted with overhaul and ventilation.